Two days after he fuelled speculation of a rift between his party and the Congress in Karnataka with his emotional outburst, Chief Minister HD Kumaraswamy said neither his tears were of “helplessness” nor was he speaking against his ally in the state government. 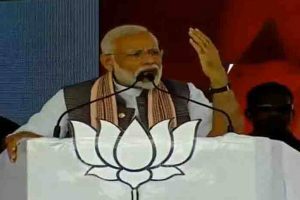 The Janata Dal (Secular) leader had on Sunday expressed unhappiness with the alliance and was seen in tears while he talked of the pain of running a coalition government saying it does not have the mandate of the people. “You are standing with bouquets to wish me as one of your brothers became the CM. You all are happy, but I’m not. I know the pain of coalition government. 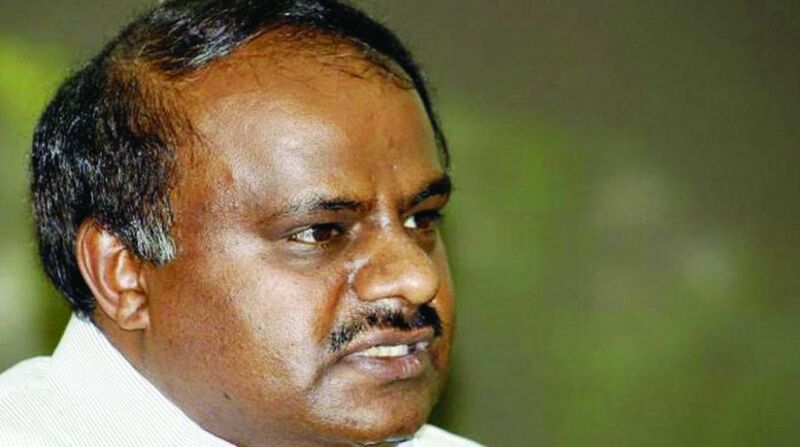 I became Vishkanth and swallowed the pain of this government,” Kumaraswamy said referring to the manner in which Lord Shiva drank Halahala to save the universe. Today, the Karnataka CM accused the media of hyping the issue. “I’m an emotional person, but it is not my helplessness. Did I shed tears at a government programme? As chief minister I have worked towards implementing programmes strongly,” said Kumaraswamy, a former film distributor. “I was speaking at my family programme. I have shared my pain with family members. I have not criticised Congress leaders. While talking emotionally, it is natural that tears flow,” said the son of former Prime Minister HD Deve Gowda asserting that he is “an ordinary person with emotions”. “I have told media friends that despite difficulty I have taken the strong step of loan waiver and have implemented programmes, but somewhere I’m not getting encouragement for my good work,” said the 58-year-old CM who took oath of office on 28 May. “While speaking about it I got emotional as I felt that people still don’t have faith in me (that I will deliver), and not because I was unable to bear any problem created by any party,” he said. Kumaraswamy accused the media of hyping the issue claiming that the electronic media has been making a mountain out of molehill since he became the CM. While the Karnataka BJP demanded that the “helpless” CM should resign from his position, the JD(S) shot back reminding the saffron party of how its own leaders such as LK Advani and BS Yeddyurappa “cried in the past” too. Congress leader and minister DK Shivakumar said Kumaraswamy is an “emotional person” and called for an end to the controversy. “Let’s give an opportunity to the chief minister to work. There is no meaning in embarrassing (anyone) by making it an issue,” he said. On Monday, Union minister Arun Jaitley had in a Facebook post accused Congress of driving Kumaraswamy to desperation equating it to the condition of former Prime Ministers Charan Singh, Chandra Shekhar, HD Deve Gowda and IK Gujral when they led governments backed by the grand old party. It is “a repeat of what the Congress did to Chaudhary Charan Singh, Shri Chandrasekhar, Shri HD Deve Gowda and Shri IK Gujral? It is the obvious consequence of a non-ideological opportunistic alliance with no positive agenda. The basis of the negative agenda is Keep Modi Out’,” wrote Jaitley on FB. Kumaraswamy is in Delhi till Thursday morning. He will be meeting several Union ministers and will also be chairing a meeting of MPs from Karnataka on issues like Cauvery river water to be raised during the monsoon session of Parliament.